Remember I said I was going to Canada Blooms??? Ted's not off any other day that week. Ask my mother to babysit? Aargh. 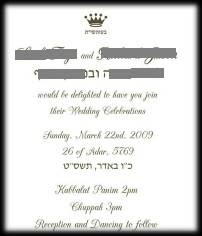 Not at all begrudging their simcha, of course, but drat...!